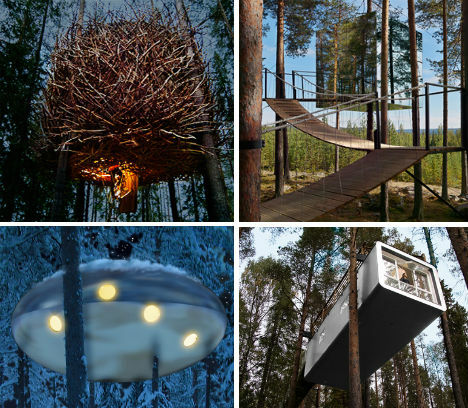 From the pristine northern forests to the bustling streets of Stockholm, Sweden has a lot to offer – and plenty of cool, unusual and visually stunning places to stay while you’re visiting. In fact, if swanky art hotels with live glassblowing and painfully hip bars bursting with local patrons aren’t cool enough for you, you can literally sleep on ice at the world’s largest ice hotel. These 12 hotels range from the simplest hut in the woods to luxurious accommodations in historic buildings. 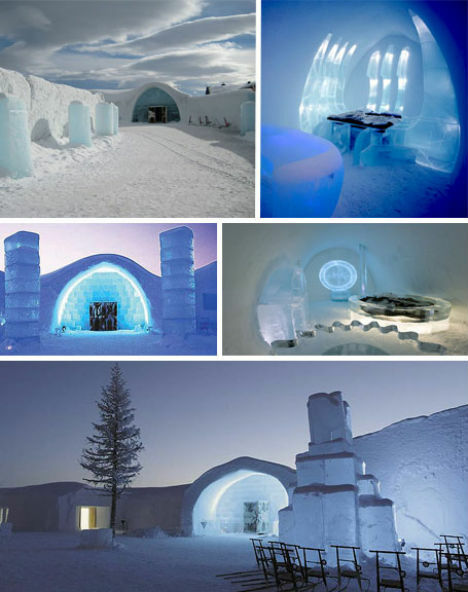 Sweden is home to the world’s largest hotel made out of ice and snow. The ICEHOTEL began with a single igloo and now has 80 rooms, all made from over 10,000 tons of ice and 30,000 tons of snow. 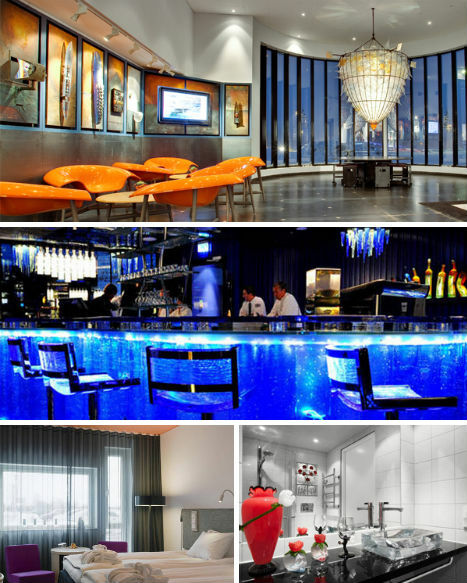 Available from mid-December to mid-April, the hotel is re-made and re-designed every year, with one-of-a-kind ‘art suites’, the world-famous Absolut Ice Bar, a restaurant and even an ice chapel. Taking visual inspiration from Sweden’s wintry landscape, the crisp and elegant Nobis Hotel is not just a place to sleep – it’s been called ‘Stockholm’s living room’, with locals flocking to the cool contemporary bar and the hotel’s Southern Italian-style bistro. Located in a pair of historic 19th century buildings, the 201-room hotel is within walking distance of Stockholm’s best shopping and sightseeing. At the Sala Silvermine in Sweden, you can navigate dark winding underground passageways down to your own private cave. 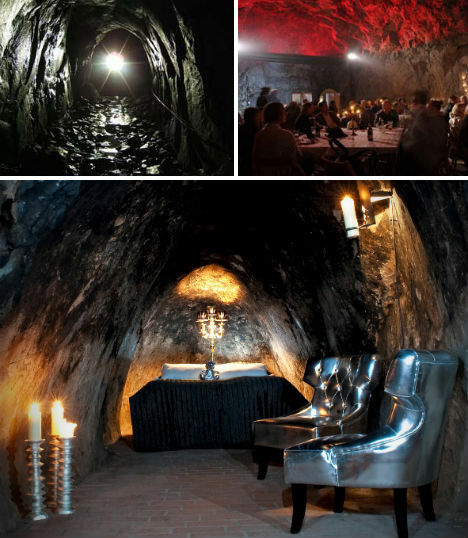 The Silvermine Suite is 155 meters under the surface of the earth in one of the world’s best-preserved historic mines, which once produced over 3 tons of silver every year. For travelers who aren’t claustrophobic and don’t mind the cold, this could definitely be a once-in-a-lifetime experience. The bohemian-chic Story Hotel is a favorite of stylish urbanites, combining modern glamor with a welcoming sense of coziness enhanced by plenty of purple velour. Clean, bright new elements are combined with strategically revealed remnants of the building’s former life as private residences including antique wallpaper, disused electric meters and reclaimed doors as headboards. 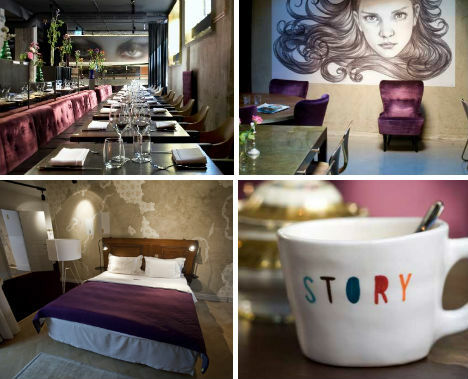 Offering 82 guest rooms at affordable prices, the Story Hotel is ideally located right in the city center. 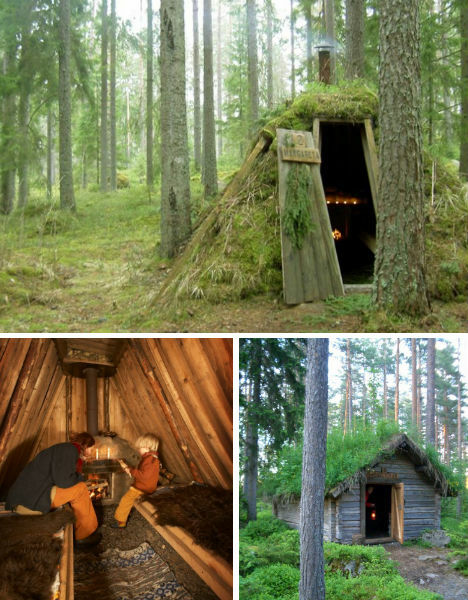 Set in a picturesque glade near the lake of Skärsjön, the Kolarbyn Eco-Lodge is Sweden’s most primitive hotel, offering twelve electricity-free ‘nature huts’ that put you as close to the Swedish landscape as you can get without actually camping. You’ll fall asleep on soft sheepskins by the glow of candles and the crackle of a warming fire, and enjoy an open-air breakfast when you awaken in the morning. Part of the proceeds of your stay will go toward protecting area wildlife. 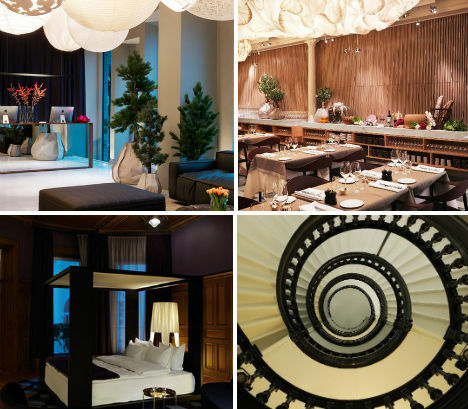 Voted Sweden’s leading boutique hotel two years in a row, the Nordic Light Hotel in Stockholm is burstling with personality yet soothing to the eyes of weary travelers. Carefully chosen accent colors and lighting installations invite relaxation in the guest rooms, inspired by the long dawns and sunsets in the region which give off a glow of rainbow colors. The 175 rooms are divided into three categories – ‘standard’ for those who aren’t keen on dramatic lighting effects, ‘superior’ for a little more character and ‘deluxe’ for a truly unique, almost otherwordly experience. It looks almost like a joke – could you really stay in a space that small, the size of a garden shed? But the Utter Inn is bigger than it looks – its second story is located underwater. 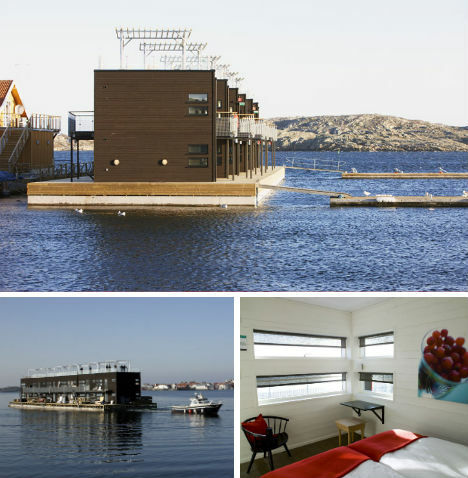 Floating in the middle of Lake Mälaren, Utter Inn features two twin beds and a table in the bedroom and a small kitchenette in the upper room. Jump right off the hotel deck into the water, or just watch the fish from the windows in the bedroom. Like the lake idea, but want something slightly more conventional? 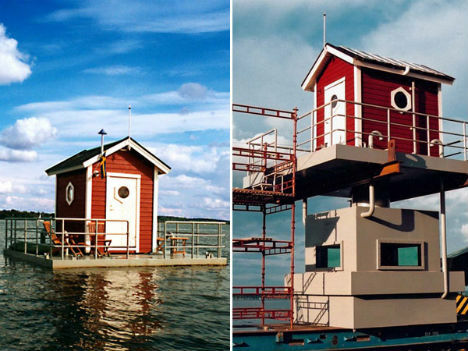 Sweden has another floating hotel, the Salt & Sill, a minimalist 23-room barge that also serves as a top-notch seafood restaurant specializing in herring and fresh local produce. All 23 rooms have their own outdoor seating areas, but the hotel’s sole suite has an extra-enticing benefit: a private roof-top jacuzzi. The hotel’s location on the lake, by the way, is not a gimmick: the adjacent land simply didn’t have any room. 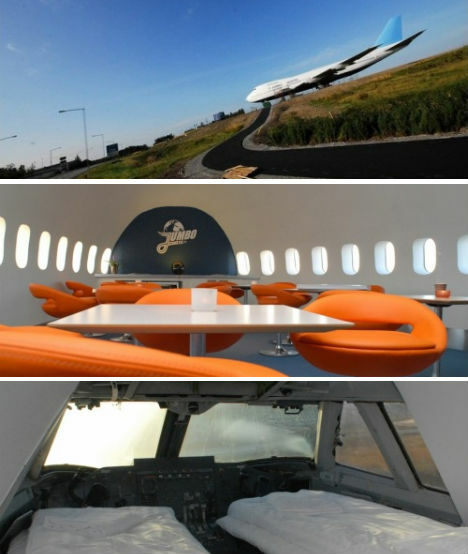 A junked 747-200 has a new life as a unique new hostel in Stockholm. Retrofitted with 25 guest rooms, from quad dormitories with bunk beds to private suites, the Jumbo Hostel retained the original lounge bar and first class seats, and some lucky visitors get to sleep in the cockpit, which has its own private bathroom. Located in the heart of Småland’s ‘The Kingdom of Crystal’, home to 13 glassworks, the eagerly anticipated Kosta Boda Art Hotel is a glittering showcase of glass art by the famed Kosta Boda. Each of the hotel’s 124 rooms has been individually designed by the glass artists, and their influence is particularly notable in the hotel bar and in the spa, where swimmers can put on goggles to view a glass exhibit at the bottom of the pool. Take a seat in the restaurant and you can even watch Kosta Boda glassblowers blow and sculpt glass on a stage. 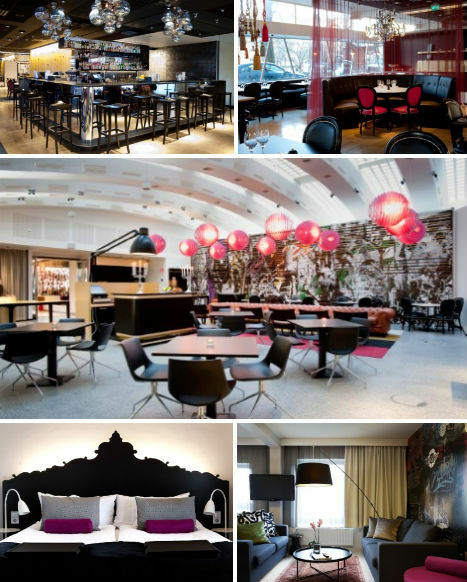 Fun and budget-friendly, the 327-room Scandic Malmen is located within walking distance of some of Stockholm’s best live music venues in the trendy district of SoFo. 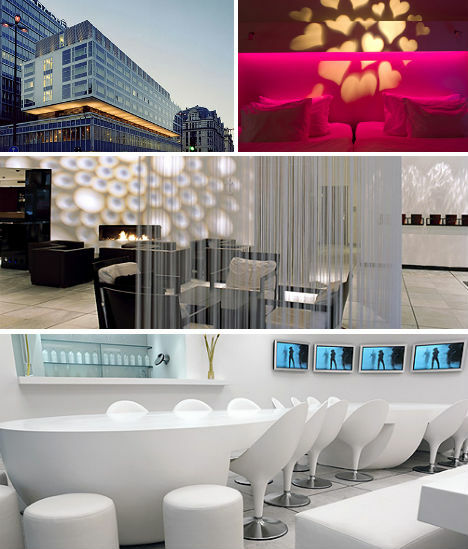 A massive, blocky, unremarkable exterior gives way to interior design that matches the hipness of the hotel’s location. The hotel restaurant is a popular choice among Stockholm residents for brunch.